Dark menacing guitar riffs, bone crushing power chords, frenzied fingered guitar solos...yep, it's heavy metal time. Grab your guitar and crank your amp to 11 with these online metal guitar lessons. Want a deeper heavier power chord sound on the guitar with a little more umph to it? 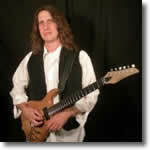 Learn 6 shred metal lead guitar licks based around 3 note per string scale patterns. Learn how to combine sweep picking arpeggios with tapping. Sweep picking tapping arpeggios are often used in shred metal. 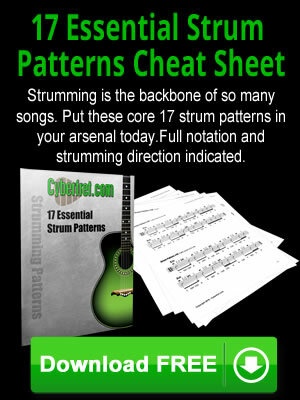 All guitar lessons on Cyberfret.com are in the process of being updated. 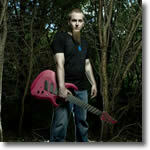 Below are some metal guitar lessons from the old website that have not made it to the new one yet. 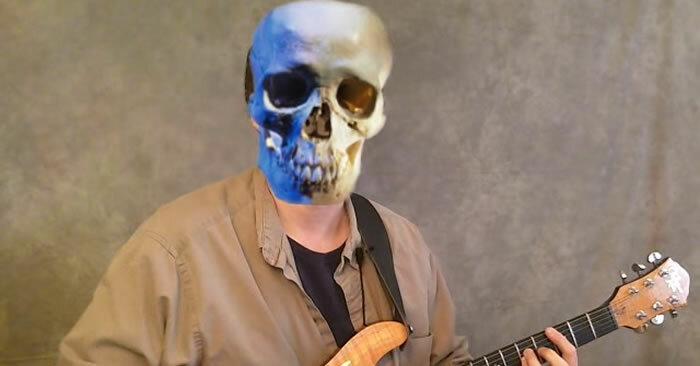 Heavy Metal Gallop Rhythm - This guitar lesson by Greg X teaches a heavy metal rhythm guitar essential. The gallop and reverse gallop rhythms. 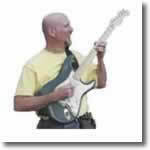 Video guitar lesson, tablature and mp3 audio tracks are included. Settle For Metal - Sean Conklin from InfiniteGuitar.com shows you an intense metal rhythm riff in this video guitar lesson. If I Don't Like Shred, Why Should I Bother Learning It? - In this guitar lesson Richard Baines teaches how shred guitar techniques can help you improve, even if you don't like shred. Cy's Shred Licks - In this section French néoclassical guitarist Cyril Lepizzera will share some of his favorite riffs, licks and exercises.